Want to play simple and yet challenging game on your phone? If you want to try addictive games that will test your skills and push you to react fast to win some high scores, then you should probably try playing arcade games with the simple gameplay of tapping. However, when it comes to choosing the best game from this type you can get easily confused and lost. But, luckily for you, we searched and we have for you an amazing tap arcade. Let’s see what the game is about. What is Swirl all about? Swirl as the amazing arcade game is especially created as one highly fun arcade game with even more entertaining and addictive tapping gameplay. Developed for android users, simple for playing and fun for people that love to tease their brain playing, this arcade tap game offers challenges for the brain the fast reactions of players. Players will enjoy the amazing and simple IU with high-quality beautiful graphics, keeping them interested in playing. On the game players can compete with others and earn many achievements for their highs scores by completing a simple task, tap the dot to catch the dot, addictive for all arcade lovers. This amazing arcade tap game is offering various exciting and amusing features that will keep the attention of the player while getting him addicted to the game on his first try. The gameplay offered by the game is simple but yet quite challenging. On the game users will get to test their reflexes in over 500 challenging levels of catching the dots. Simply, players need to tap on the dots on the screen to catch all red dots on time while keep on swirling. If they succeed they will progress. 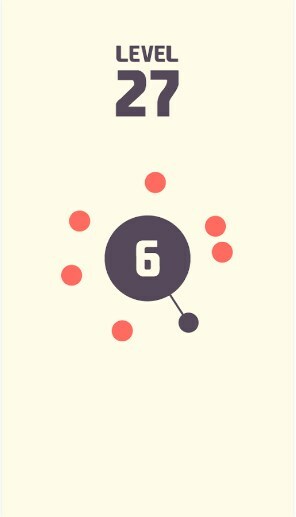 In every new level the number of dots is increasing making the game harder. With high scores and progressing in new levels players get the chance to win many achievements and stars, getting closer to the chance to become the ultimate player. The high scores the player makes, he can compare them with the scores of his friends and even he gets the chance to challenge players from the whole world to play and win the title arcade tapper champion. Endless fun and excitement while teasing the brain and testing the tapping skills of players! Download it now for free on Google Play and catch all red dots on time!